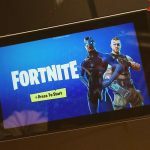 We'll give you a Fortnite link for your Particular Smartphone's Brand. People don't know if their smartphone is Android, BB, iOS or Windows Phone. With fans around the globe awaiting the release of the viral game Fortnite season 8, many leaks and information about the upcoming game edition is strongly doing the rounds as players and game analysts are speculating about what season 8 have to bring to the table! Recently, a new map location of Fortnite was leaked just before the big release; the next game edition is expected to arrive by the end of February and a new “Battle Pass” will come hand in hand with the next Fortnite. 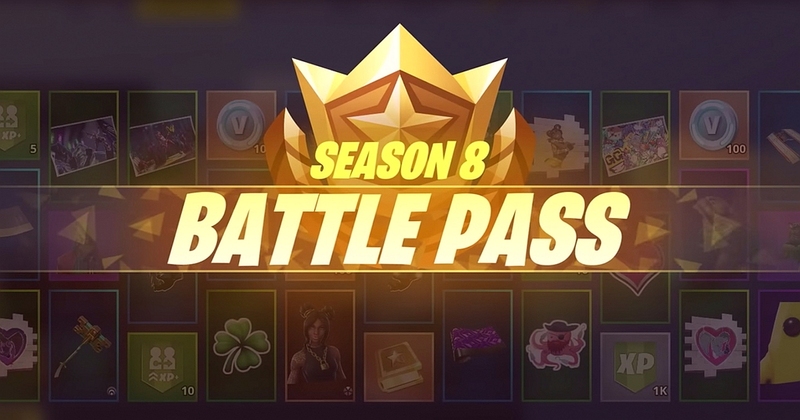 The new Fortnite “Battle Passes” usually start with every new season, and seaosn 8 is speculated to present more heated and exciting gaming sessions with new skins and gaming features. Also, the next Fortnite season will transform the Battle Royale map; in season 7 of the game, a couple of earthquakes took place causing some major cracks in the map of Fortnite and with the next season around the corner, it’s expected that the map is going to look different. Frankly speaking, the different shape of the Battle Royale map will have other consequences on the game’s general atmosphere. Reportedly, natural disasters including fires and tornados will be existent in season 8, thus hardening the situation for the gamers and further changing the Fortnite map. And in order to have this apocalyptic vision introduced to the players of Fortnite in season 8, some leaks report that a major destruction will occur at the end of season 7 which will lead to the changing nature of the map and the occurrence of the natural disasters. Weirdly enough, some game experts and analysts speculate that the Battle Royale map isn’t going to be cracked, instead it’s going to be totally – or partially – destroyed. And if the Fortnite map gets destroyed by the end of season 7, then Epic Games will have to provide some new Fortnite maps upon the release of season 8. Epic Games confirmed previously that Fortnite is going to get some new maps that’ll join the Battle Royale. The game’s company assured the fans that more maps are coming their way but not immediately. 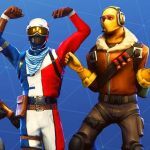 So, perhaps with the next Fortnite season approaching and as many players are already wondering about the imminent destruction of the Battle Royale map, some new maps are going to be available by February 28th. And let’s not forget that it’s possible that a giant, monstrous creature is going to appear in the next Fortnite that has been causing the previous earthquakes. The speculated scary creature will possibly make an appearance at the beginning of Fortnite season 8 and in order to defeat it, players of the game will have to unite to win the challenge. Editorial Staff at Downloadfortnite.com is a team of Gamers & Marketing Experts led by Mary Anne. Epic Games companies launched this amazing multiplayer game for Playstaion, Xbox, PC and Mobile devices. 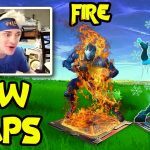 Get Fortnite Free for top mobile brands: Samsung, Sony, Nokia, iPhone, HTC, Motorola, LG, Vivo, Huawei, Blackberry, Google Nexus, ZTE, THL, Lenovo, Toshiba, Alcatel, Zoppo, OnePlus, Xiaomi, Jiayu, Benq, Gionee, Acer, Sharp, Asus, Lava, Blu, Elephone, Karbonn, TMobile, Philips, Fire Phone, Siemens, Oppo, Nec, Meizu, HP, Vodafone, Orange, Wiko, Panasonic, Micromax... Download Fortnite Battle Royale Game Apk today!